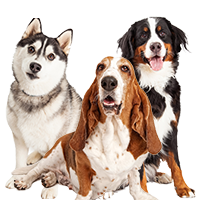 Yes, I and Love and You is the weirdest name for a dog food we have ever encountered, but it’s still a pet food manufacturer and we are happy to review their dog foods. The company is headquartered in Boulder, Colorado. Their pet food, considered all-natural, debuted for sale online in 2012 though it was for sale locally earlier. 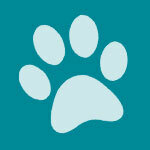 It does seem to be a fun-loving, earth-friendly company – something which is important to many dog owners today. You can read more about the company’s employees and ethics here. I and Love and You makes both dog and cat food. 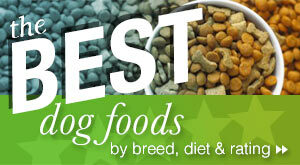 Their dog foods include raw, raw freeze-dried, grain free kibble, and canned. They also make biscuits, daily supplements, natural remedies, and flea & tick products for dogs. According to I and Love and You, their dog foods do not usually use GMO ingredients or artificial preservatives, artificial colors, or artificial flavorings. They do not use additives or fillers. And they do not contain soy, corn, by-products, or unnamed meats. Most ingredients come from the United States whenever possible. They use select wild-caught, grass-fed, free-range and cage-free meats raised without the use of antibiotics and growth hormones when available. They also say that they make their foods with human quality ingredients and never with by-products or rendered meat. 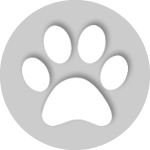 I and Love and You dog food can be purchased at many grocery stores, as well as online. It is a premium dog food and therefore rather expensive, but you don’t have to go to a pet superstore or a pet food boutique to buy it. 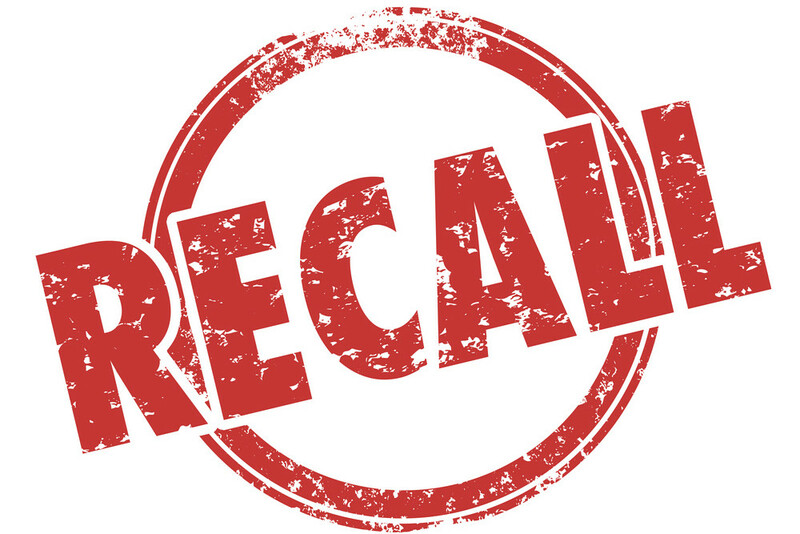 We did not find any recalls for I and Love and You products when reviewing the FDA and AVMA pet food recall databases. Bear in mind that this pet food has only been on the market for a couple of years. 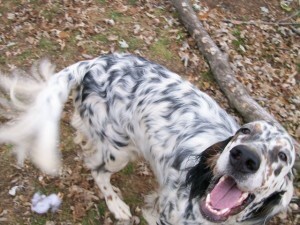 I and Love and You makes grain free dry dog food, canned food, raw dog food, and raw freeze dried patties. We have chosen their freeze dried patties – I and Love and You Power Pucks Freeze Dried Patties – for review. Unlike some other raw freeze dried dog food products, such as Nature’s Variety, the I and Love and You Power Pucks Freeze Dried patties are made to meet AAFCO approval for all life stages. 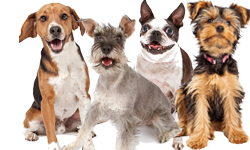 They can be fed to pregnant and nursing dogs, to senior dogs, as well as to adult dogs who require a maintenance diet. The patties come in a beef and a chicken recipe. The calcium to phosphorus ratio of the beef recipe looks like it would be suitable for puppies but the chicken recipe looks like it would be problematic. As with many raw freeze dried foods, the food has a high protein percentage. It also has a very high fat percentage. The fiber percentage is low but this is not unusual for a freeze dried food. 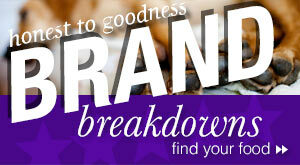 Raw freeze dried foods don’t usually contain any grains. The fiber in the food comes from added vegetable matter, as it does here. Raw freeze dried foods usually contain few ingredients compared to kibble and even canned foods. They don’t contain a lot of the added vitamins and minerals found in more processed foods. They can do this because the raw food is freeze dried and not cooked at high temperatures as it is with kibble. This means that the natural vitamins and minerals in the food are not cooked away. If you like the idea of feeding your dog a simpler diet, you will probably like a raw freeze dried food. For example, this chicken recipe only contains nine ingredients total. Many kibbles contain that many added vitamins and minerals to replace what is lost during the cooking process. The first five ingredients in the I and Love and You Power Pucks Freeze Dried Patties are: Ground Chicken with Bone, Chicken Heart, Chicken Liver, Sweet Potatoes, Broccoli, Apples, Herring Oil (Natural Source of Vitamin D), Natural Vitamin E, Mixed Tocopherols (Natural Antioxidants). That means that the first three ingredients in the food are meat or muscle/organ meat which are very good for your dog. 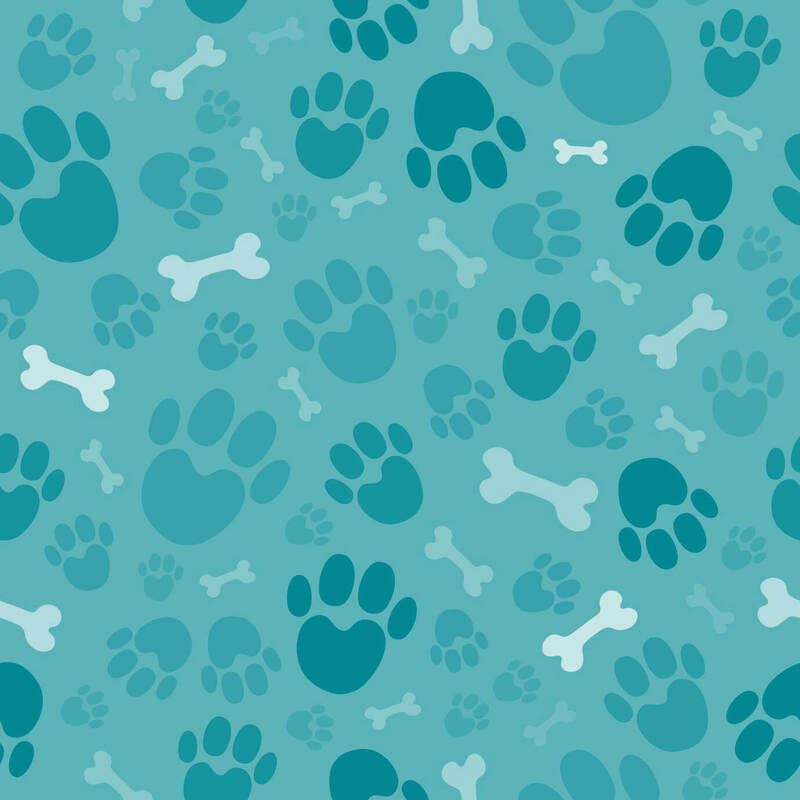 Ground chicken with bone provides calcium for your dog. Chicken is 80 percent protein and 20 percent fat. It’s also a good source of Vitamin B6 and Phosphorus, and a very good source of Niacin and Selenium and omega-6 fatty acid. Chicken heart is 61 percent protein and 39 percent fat. It’s a good source of Folate, Pantothenic Acid, Phosphorus and Copper, and a very good source of Riboflavin, Vitamin B12, Iron and Zinc. It’s also a good source of Omega-6 fatty acid. Chicken liver is 63 percent protein, 35 percent fat, and 2 percent carbs. It’s a good source of Thiamin, Zinc, Copper and Manganese, and a very good source of Vitamin A, Vitamin C, Riboflavin, Niacin, Vitamin B6, Folate, Vitamin B12, Pantothenic Acid, Iron, Phosphorus and Selenium. No wonder dogs love it. The fourth ingredient in the food is sweet potatoes. Sweet potatoes are 93 percent carbohydrates, 6 percent protein, and 1 percent fat. They are a good source of Dietary Fiber, Vitamin B6 and Potassium, and a very good source of Vitamin A, Vitamin C and Manganese. Most dogs like sweet potatoes. They are frequently used today as an alternative to grains in dog food. Sweet potatoes also rank low on the glycemic index meaning they are not absorbed too fast into the blood stream. The fifth ingredient in the food is broccoli. Broccoli is made up of 71 percent carbs, 20 percent protein, and 9 percent fat. It’s a good source of Vitamin E (Alpha Tocopherol), Thiamin, Riboflavin, Pantothenic Acid, Calcium, Iron, Magnesium, Phosphorus and Selenium, and a very good source of Dietary Fiber, Vitamin A, Vitamin C, Vitamin K, Vitamin B6, Folate, Potassium and Manganese. The food also contains apples – mostly carbs but a good source of Dietary Fiber and Vitamin C; and herring oil (a natural source of Vitamin D). Herring oil is also an excellent source of the Omega-3 and Omega-6 fatty acids. Natural Vitamin E is often added to pet food to act as a natural preservative. Mixed tocopherols (natural antioxidants) are also used as natural preservatives. Mixed tocopherols are different forms of Vitamin E.
If you were going to make a raw diet for your dog, it would probably contain ingredients like these. Plus the company uses good sources for their ingredients and avoid undesirable ingredients. I and Love and You Power Pucks Freeze Dried Patties looks like it would be a very good food for most dogs. The food contains 230 calories per patty. 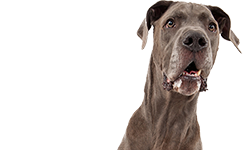 This is only a modest amount for most dogs but the company provides good suggested feeding guidelines based on your dog’s weight. The freeze dried patties can be served as-is or rehydrated by adding some water to the patties. How would you rate I and Love and You? Have you fed your dog I and Love and You? Tell us what you thought of the food. Take a moment to rate I and Love and You. Should people their dog this food? 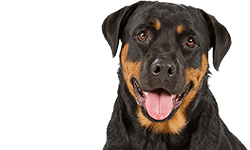 I and love and you Power Pucks is formulated to meet the nutritional levels established by the AAFCO (Association of American Feed Control Officials) Dog Food Nutrient Profiles for all life stages. *** The dry matter basis figures for this food are: 48.7 percent protein; 28.7 percent fat; 2.4 percent fiber; 9.7 percent carbohydrates. The food contains a high percentage of protein and a high percentage of fat. 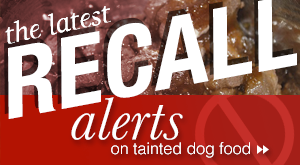 You will need to watch your dog’s condition if you feed this food since it would probably be easy to gain weight. Make sure your dog gets plenty of exercise. However, the carb percentage is quite low, as would be expected with a raw freeze-dried food. This looks like a very good raw freeze-dried dog food. If your dog has problems with grains or if you like to feed a food with fewer ingredients, this might be a good food to try. 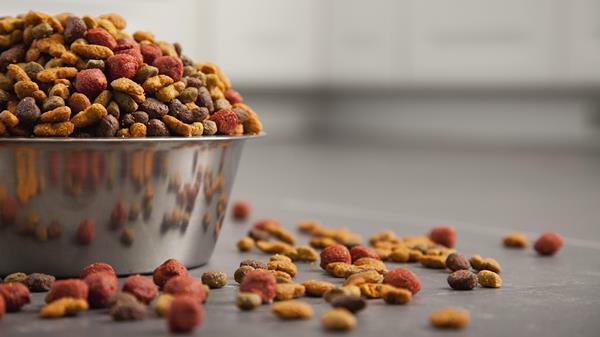 Freeze-dried foods are typically more expensive than kibbles but they tend to last longer. You should not feed them in the same amounts as you feed a kibble. You can see from the guaranteed analysis that they contain a lot of protein and fat so feed accordingly. “Most ingredients come from the United States whenever possible…” ??? This really doesn’t give us any ‘precise’ information on the ‘actual’ contents of this food! It seems this pet food company and you need to be more specific… I personally, do not give a crap what the ‘Dog Show or Dog News’ people feed their dogs… especially, if they are being paid by said companies!!! I feel that this was a “Completely Partial” post!! I feel that you are most likely getting kick-backs, just by the way that you ‘word’ things!! You just don’t seem very ‘upfront’ or ‘honest’ to me, I think you just want … something else! I honestly do not think that you have enough experience or ‘know how’ to write this sort of blog, nor do I think that you are qualified or should be calling yourself a “guru” ?!? Our Lab mix started I and Love and You dry mix recently. She seemed to like it a lot, after a few more days–not so much. She is very healthy except for being overweight and itching. A few days after starting the IaLaY, she had a very manic episode. She was breathing heavily and running, crawling under furniture, swelling around the eyes. We thought she had been stung by a bee or wasp. Gave her some Benedryl and she recovered within a few minutes. A day and a half later she had another episode when I knew that she had not been stung. The only change in her routine was the new feed. I don’t know if this is the reason, but I’m changing her feed and hoping we don’t have anymore episodes. My dogs ate the canned beef booyah and all had severe diahrhea. I found some reviews online that the phosphate levels are high in this brand which can cause gastrointestinal issues and other issues. I will not be feeding this to my dogs again. I needed a quick bag of food when my dog ran out of her usual feed. I looked for something similar to the ingredients in her usual dry food. I pay a lot of mind in what i let my dog eat. I picked this up from my local meijer, because petsmart was closed and as i scanned the ingredients of the foods they had on shelf, this was the one i had to go with. I read the ingredients and felt confident my pet would do well until i was able to get her usual dry food. NOT the case. she was extremely gassy and had diarrhea all night and into the next day. I felt so bad for her and i was up all night with her cleaning up the mess. I threw this stuff out. perhaps it was on the shelf too long, perhaps it was a bad batch, perhaps the food is just not the same good quality as her old food. I will never feed this food again for all the discomfort my pet experienced and the awful painstaking night i spent cleaning up the mess that followed. It was suggested to me to get my dog on a grain free food because she is going through chemotherapy right now. I bought this brand at Sprouts after reading through the ingredients. I followed the instructions to faze this food into her diet but she has had diarrhea and bloating all day for the last 8 days. I have put her back on her old food and she is slowly getting back to normal. The chemo drugs she takes have never affected her in any way. She loved this food but being an older dog it probably was not a good decision on my part to switch her food, but I did not think she would be sick eating it. At the time I was feeding this food. My little aussie, was 10 months old. She was on taste of the wild and I wanted to switch her to something with better ingredients. However, after switching to this food she got sick. I mean sick. She threw up everytime after eating this and would not eat anything after. She had bad gas and diarrhea when she was able to keep it down. I then switched her back to taste of the wild and no issues. We found a rescue dog. He was a year and a half, extremely underweight and itchy,itchy itchy! So much that he had bald spots on his back and legs. He was a sad sight to see for sure. He came with a bag of purina. I figured you had an allergy so the first thing I did was set out to find a new food what I’ve been told he’d been eating everything so it really didn’t matter if we changed his diet at this point. I tried a few of the pure brands, he did not like them. I was running out of options..I happened to see I and Love and You at my grocery store on clearance so I grabbed the bag. He loved it! From that point on the itching ceased and his hair grew back! He is now three and has gained 15 or so pounds.He looks healthy is heath and has a beautiful coat! A completely different dog! Amazing what a little Love can do. I just wish it was sold in more stores.. ? My dog age 7 started eating this dog food because she needs to be on grain free and I got this dog food because it was the cheapest at the food store compared to the other leading brands. Grain free is costly. She has been having sever gas pains and throwing up with diarrhea. After reading these reviews I now know it’s this dog food! Who manufactures this dog food? I had been trying to switch my dog over to I and Love and You by adding a little to his food. He seemed to like the taste, but every time I’d add some to his food he’d have a bad day. Acting uncomfortable, restless and needy, with diarrhea and vomiting. After reading these comments I’m throwing the bag away, too.